FFA - Aimbridge Hospitality owned Embassy Suites Cleveland – Rockside gave CAIR Ohio a place on May 3rd to raise funds while CAIR fights for Sharia in America. Aimbridge Hospitality owned Embassy Suites Cleveland – Rockside gave CAIR Ohio a place to raise funds while CAIR fights for Sharia in America. Click here to send your email to Aimbridge Hospitality officials. If you would like to Facebook Embassy Suites Cleveland - Rockside on this issue click here. The Embassy Suites Cleveland – Rockside, 5800 Rockside Woods Blvd., Independence, OH hosted the CAIR Cleveland banquet on May 3, 2015 from 4:00 pm to 9:00 pm. 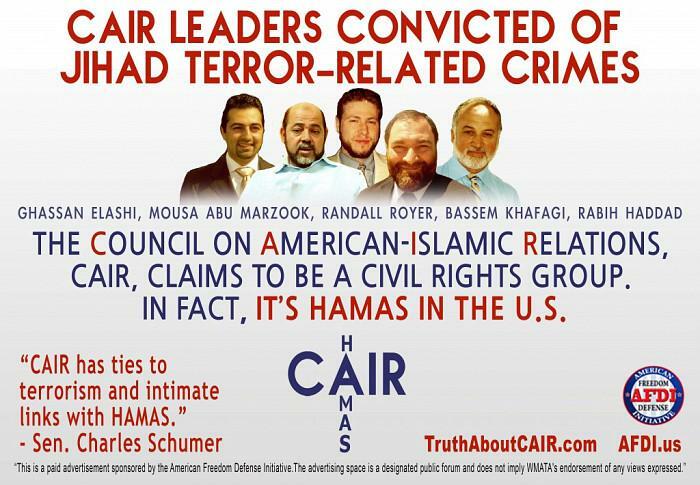 The CAIR-Ohio website states the following regarding the CAIR-Cleveland April 23, 2013 banquet: "The keynote speaker, Asifa Quraishi-Landes, Esq., from University of Wisconsin Law School spoke about her new report entitled 'Sharia and Diversity: Why Americans Are Missing the Point.'" The Embassy Suites Cleveland – Rockside is owned by Aimbridge Hospitality. The Ambridge Hospitality owned Embassy Suites Cleveland – Rockside is giving CAIR Cleveland a place to raise money at a time when CAIR is working hard to make Sharia law legal in the United States. Pedophilia, Muslim men can marry girls as young as 14. However, Muhammad took a wife named Ayesha that was six years old. Americans who are concerned about CAIR’s history and agenda have the First Amendment Right to complain about this event and choose hoteliers who do not give place to the same. Click here to view Aimbridge Hospitality properties. Florida Family Association has prepared an email for you to send to Aimbridge Hospitality officials. Your email will not only voice concern about this important issue but it will also educate corporate officials with facts regarding CAIR's agenda. Please click here to send your email to Aimbridge Hospitality officials.